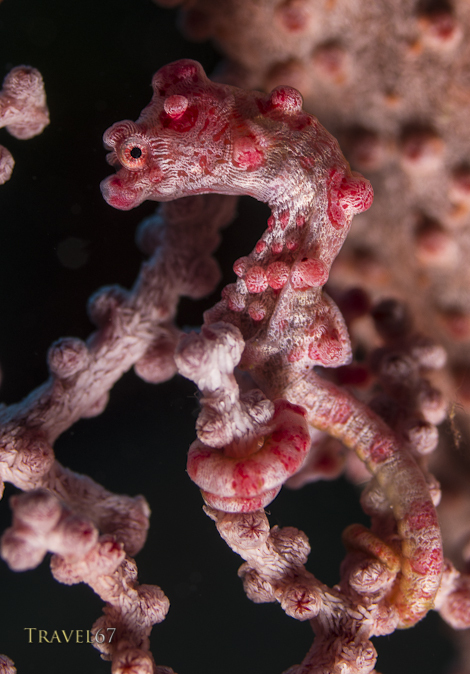 The pygmy seahorse was one of the top species on my underwater Okinawa shot list. Very happy to have managed to photograph one this morning. The seahorses are tiny, about the size of my thumbnail. They are also fantastically well camouflaged, blending perfectly with the fan corals they live on. Wikipedia states that the species was only discovered when researches were studying the fan corals in the lab.